The man who finished ‘Omaha the Cat Dancer’ passes away, Frank Quitely finally gets that degree, and more. 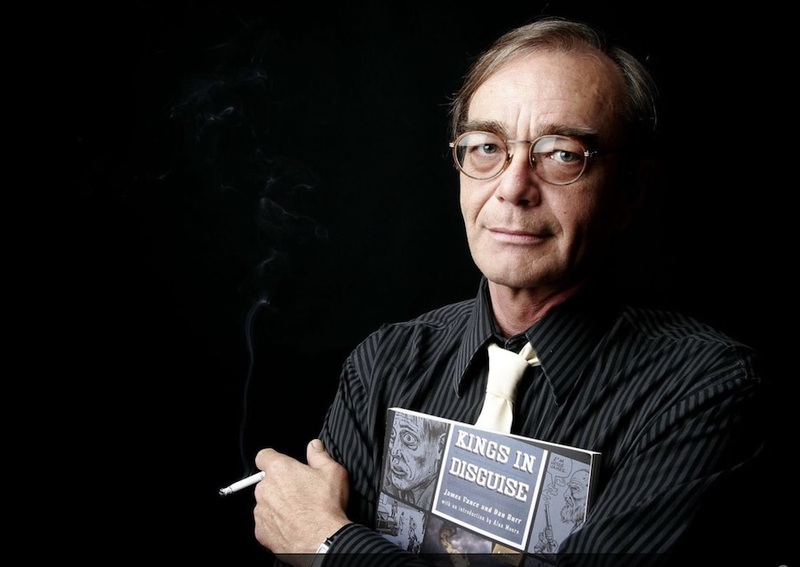 Passings: James Vance, the author (with artist Dan Burr) of the graphic novels Kings in Disguise and On the Ropes, died on June 5 at the age of 64. Kings in Disguise was first published as a limited series by Kitchen Sink Press in 1988 and in 1989 won the Eisner and Harvey awards for Best New Series, and the first issue won the Eisner for Best Single Issue. W.W. Norton published a collected edition in 2006, with an introduction by Alan Moore. The sequel, On the Ropes, was published by Norton in 2013. Vance was married to Omaha the Cat Dancer writer Kate Worley from 1994 to 2004, and many years later he collaborated with Omaha artist Reed Waller to complete the story, which was left unfinished at Worley’s death; it was published in 2013. Vance, who was also a playwright, talked about his work with Alex Dueben at CBR in 2013. His illness and death leaves his family in a difficult financial situation, so a GoFundMe has been set up to help. Plus: ‘Revolutionary Girl Utena’ returns, Red Planet opens in Albuquerque, Melanie Gillman, Alex Segura, Harley Quinn and more. The Wonder Woman movie has lots of people looking at the history of the character and how she has evolved over the years. The Fresh Toast has a great interview with Trina Robbins, the first woman to draw Wonder Woman and a pioneering underground comics artist and comics historian as well. She’s a delightful person who has had a fascinating life, and this interview is a great way to start off your week. Plus: profiles on ‘Black’ creator Kwanza Osajyefo and ‘Top Ten’ artist Gene Ha, the Ledger Awards shortlist, and Montreal’s AstroBooks turns to crowdfunding to pay its tax bills. The Warsaw (Poland) Comics Festival will lose three years’ worth of city subsidies, totaling $44,500, because a comic ridiculing Polish nationalists was distributed at this year’s event. Tomasz Lesniak and Rafal Skarzycki’s Poland: The Champion of Poland, lampooned nationalists, racists and anti-Semites, and that didn’t sit well with the local nationalists, who complained to the city council. The council released a statement saying, “After reviewing the comic we explicitly declare that we do not accept its content,” and announced it would sanction the festival. Plus news and updates on The Dark Knight III: The Master Race., comiXology’s Valiant High, Marissa Moss, These Machines Are Winning and more. Police in Phoenix, Arizona, arrested 31-year-old Matthew Sterling at Phoenix Comicon on Thursday after being alerted that he was posting photos of police officers from inside the convention center and talking about harming the police. He told police he was the Punisher and could tell which police officers were good and which were bad. Yukito Kishiro’s post-apocalyptic classic manga Gunnm returns to English audiences with a new translation by Kodansha Comics and Comixology Originals. Known as Battle Angel Alita to English audiences, it was first published as a serial in Shueisha’s Business Jump magazine in the 1990s. This re-release is a digital exclusive through ComiXology Original and is free today for ComiXology Unlimited subscribers. Battle Angel Alita tells the story of Alita, a female cyborg. Parts of her were found in a scrapyard and she was eventually assembled into a mercenary hunter-warrior with no memory and then as a player in the brutal sport of Motorball. Memories of life on Mars begin to return to her during combat. Cartoonist Eleanor Davis was one of eight people arrested at a Georgia Board of Regents meeting on May 16 for protesting the board’s policies with regard to undocumented immigrants. The University of Georgia does not allow undocumented immigrants to attend its five best schools and requires them to pay out-of-state tuition at the others. The protestors, described by the Atlanta Journal-Constitution as “a mix of faith leaders and current and former University System of Georgia students,” were taken to the Fulton County Jail. Davis’s husband, Drew Weing, reported on his Facebook page that she had been released after the Georgia Civil Disobedience Fund paid her bail. Davis’s newest book, You & a Bike & a Road, has just been published by Koyama Press, and Slate ran an excerpt on Tuesday—showing a man being arrested at the border.